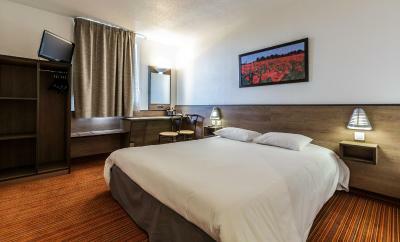 Lock in a great price for Ace Hotel Bourges – rated 8.3 by recent guests! I liked the ability to book online ahead of my stay. Location just off the motorway. 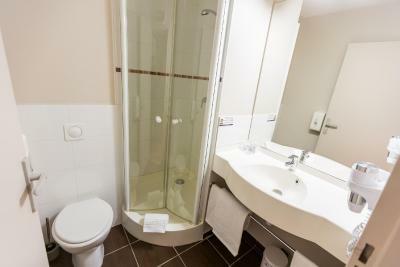 Sizeable room, clean, good bathroom. Breakfast good value, and plentiful. Very good location,stayed before and recommend friends who joined us this trip. 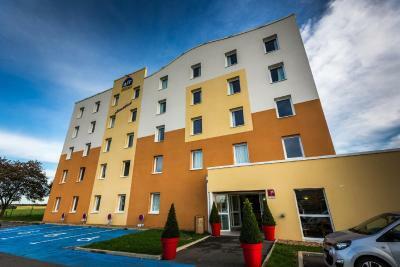 Nice comfortable hotel .Very easy to get to off the motorway .Friendly staff. Good size rooms . Built by a major road with business units around it. Hotel staff helpful. Room as you would expect from this type of hotel. Breakfast was good. 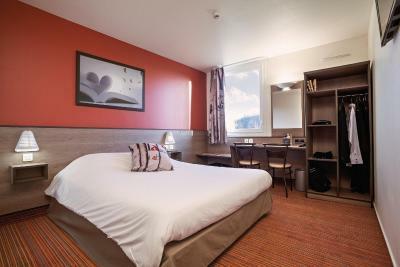 Breackfast was just fine, room big enough and clean, city off Bourges a very nice surprise with a beautifull cathedral. booked for an overnight stay travelling more than content. 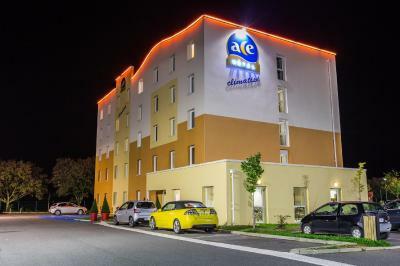 One of our top picks in Bourges.Ace Hotel Bourges is located just a 15-minute drive from Bourges city center and 650 feet from the A71 motorway. 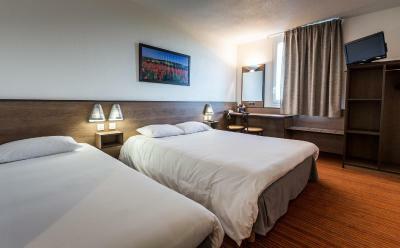 It offers en suite accommodations and a buffet breakfast. 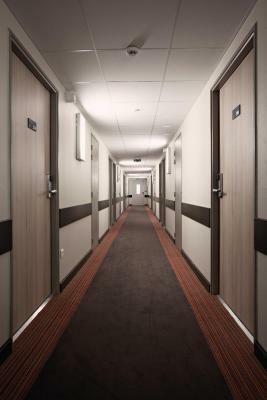 The rooms at Ace Hotel Bourges are soundproofed. They all come with a king-size bed, a flat-screen TV and a desk. Free toiletries and a hairdryer are provided in the bathrooms. Every morning a buffet breakfast is served. 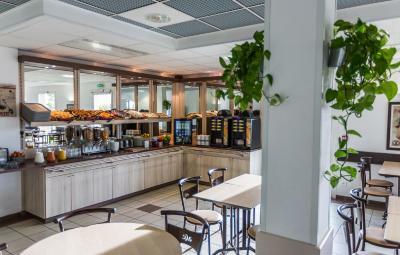 Guests have access to free Wi-Fi throughout the hotel. 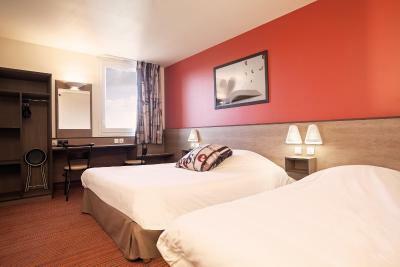 Conveniently located, the hotel is close to the main tourist sites of Bourges, including the Gothic cathedral, Jacques Coeur’s Palace and the Maurice Esteve Museum. 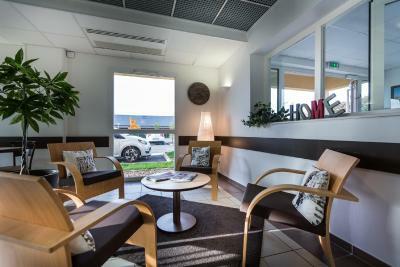 Free private parking is available onsite. 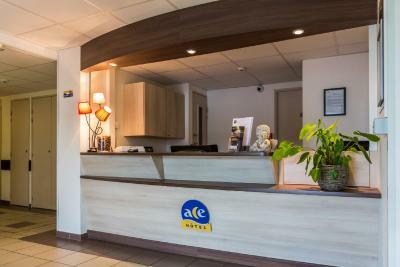 When would you like to stay at Ace Hotel Bourges? 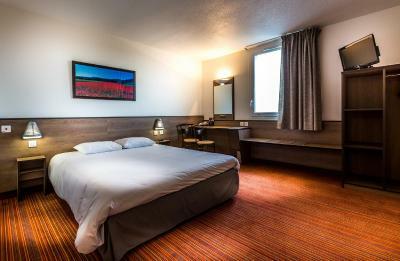 A flat-screen TV with satellite channels and a private bathroom are featured in this air-conditioned room. 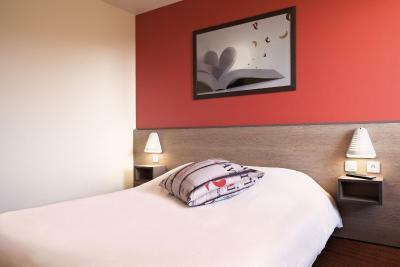 The room also includes a pull-out bed for 1 child up to 8 years old. This family room features a soundproofing, satellite TV and air conditioning. House Rules Ace Hotel Bourges takes special requests – add in the next step! Ace Hotel Bourges accepts these cards and reserves the right to temporarily hold an amount prior to arrival. Very hot for sleeping as the ac didn’t work. Barely slept because the window had to be open. It was basic. The facilities were adequate for a one night stay. Breakfast was limited by little choice. Won't choose to stay again. Close to autoroute. Good parking space. You get what you pay for. The hotel was quite sufficient for a night-stop. 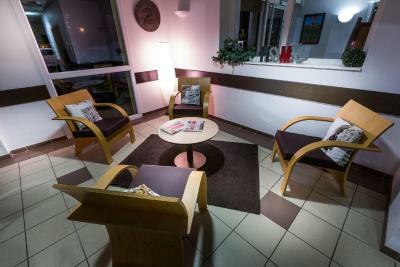 Excellent location and facilities for a quick night-stop en-route through France. Terrible WiFi!! Didn’t work in room 408 (or 208 on previous trip!) at end of corridor. Shabby bathroom with mouldy shower. Drab decor. Poor WiFi which you expect as standard nowadays. 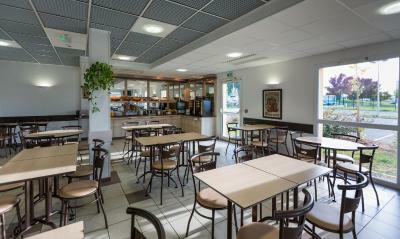 Very convenient location next to motorway. There was no bar and no restaurant but there was restaurants within easy walking distance but no bars and you had to eat to get a drink in the restaurants.